What does a no deal Brexit mean for house prices? Bank of England governor Mark Carney has warned house prices could crash by a third very fast if no deal Brexit become reality. Mr Carney warned a chaotic withdrawal from the EU could cause house prices to crash as much as 35 percent in a worst-case scenario. The governor said house prices could plummet by as much as 35 percent over three years and mortgage rates could spiral upwards. Mr Carney also warned the pound could fall along with inflation and many homeowners were at risk of being in negative equity. Some experts have said this is too pessimistic, but few think a no deal scenario will boost the house prices. Ben Seagar-Scott, chief investment strategist at wealth manager Tilney, said in the event of a “no deal” next March, it would be hard to predict how the Bank of England would react. Research done by Property investment platform British Pearl has shown house prices in London’s commuter belt will be hit the hardest. 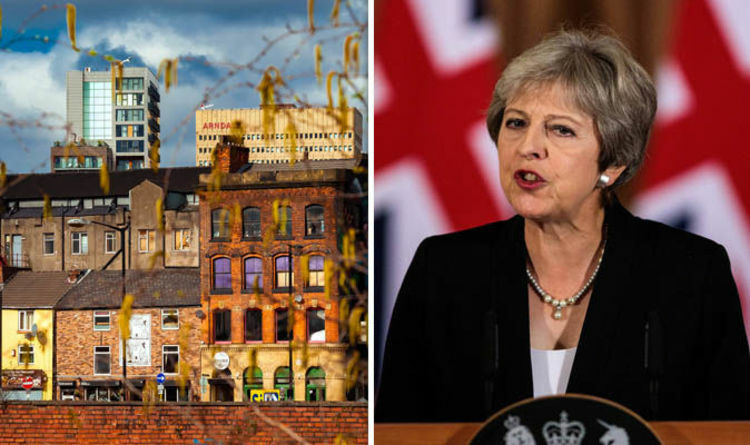 James Newbery, investment manager at British Pearl said: “The fallout from no-deal is most likely to be felt hardest in the capital’s commuter belt, where markets have moved too far and too fast. This includes places such as Watford, Hastings and Stevenage. Brexit expert Trixy Sanderson told The Sun Online: “This 35 percent forecast is just a rehash of Project Fear from 2016. The website explains there is a three-year grace period starting on March, 29 next year during which EU providers of financial services to UK customers can keep providing these legally without direct authorisation from the UK regulators. However, most homeowners in the UK have mortgages with UK-based lenders. So even if there’s no deal, people with this mortgage should not face any large changes, although there might be knock-on effects on the price of mortgages in the future. Chancellor Philip Hammond has previously warned a no deal Brexit could wipe up to 10 percent off the UK’s national income. Mr Hammond said no deal Brexit would have ‘large fiscal consequences’ for Britain and could mean an extra £80billion of borrowing. But Mrs May dismissed his predictions, and insisted a no deal would not be the ‘end of the world’.